My husband and I can't thank you guys enough. You have always came thru for us over the last two years. There's not another company out there as professional as this one. Highly recommend giving them a try on their eco-friendly products. This is now my 5th time placing a bulk order on this exact Custom Earth Promos product. Can't explain how much you guys mean to my business. Thanks so much. I highly recommend this company. Had a great experience using Custom Earth Promos for my very first time. This was a great way to help promote my business. The logo looked outstanding on this paper bag. Thank you. This website has top notch products affordable for all. 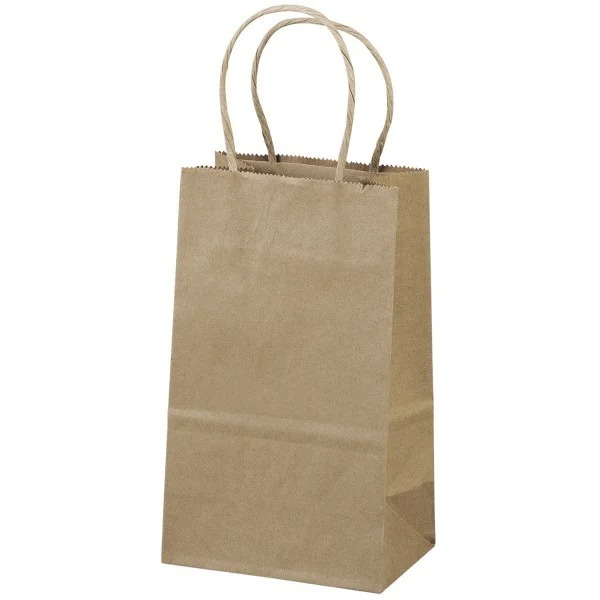 Bought this eco-friendly paper bag in bulk to help promote my business and it worked like a charm. Designing these recycled tote bags was awesome. Being creative and going green together is a great feeling. Love this bag! Extremely happy with my purchase and how my logo came out! Had a terrific experience with custom earth promos they were very friendly and walked me through the process of being a first time buyer! Thanks again Danny. Great company they made my purchase quick and easy thanks again Custom Earth Promos! Great website. A lot of products to choose from. Enjoyable experience. Site was easy to navigate. I had a small problem with my order. I was able to contact Cory and he solved my problem in a matter of minutes. Thank you. When ordering such a large numbers of bags I'm always weary that the quality will be lacking. My worries were removed when I received my tote bags and saw how great each and every one looked. Highly recommend using this company. Needed 50k customized units for a cancer awareness event. Custom Earth Promos got the job done. Very impressed with the quality and strength of these recycled paper totes. I'm a fundraiser planner and we needed 60k customized totes for an upcoming event. I worked with Danielle and we put together a great bag at a very reasonable price. Looking forward to working with this company more. I work for a large pharmaceutical firm and was in charge of designing a large number of these tote bags for our company anniversary. Custom Earth Promos really out did themselves and provided a lovely product. These customized tote bags were a nice added feature to our event this year. I will surely be placing another order soon. Great merchandise. Love my "going green bags". Designed these paper tote bags was so easy. I received my order and the quality far exceeded my expectations. Products are superior compared to the rest. Creating a bag that is recycled and eco friendly really is important to me. I wouldn't have it any other way. Custom Earth Promos really out did themselves. I appreciate all the help. We had a bunch of tote bags made for our festival. They were very impressive. These custom tote bags have slender and compact frames emulating with charming appeal. Promotional reusable bags like the Custom Recycled Paper Tote Bag will work wonders for your brand exposure, awareness, image and long-term profitability. These eco bags are guaranteed to have a positive impact on your business and solidify a responsible brand image, invested in the future of our great planet. Use custom recycled bags to convey your acts of planetary contribution to the preservation of our planet while subtly showcasing your logo on the 3.5" W x 4" H imprint area. Easily have your brand logo and/or message emblazoned across the Custom Recycled Paper Tote Bags. Then, distribute your customized recycled totes at promotional events, to package purchased items, use as gift bags for loyal customers or pass out at corporate functions and industry trade shows to spread the word about your business. This will help for the brand name to spiral forward, increasing customer base and positively affecting long-term profitability, knowing that each customer, prospect or sweepstakes winner will gladly step out in these custom tote bags to execute daily activities and chores. Each and every time they do, with your custom reusable bag in hand, your business is guaranteed increased exposure and each bag serves as a potential conversation starter to quickly increase brand recognition among interested future customers. Foster an environmentally conscious brand that customers will admire and be sure to recommend to family, friends and colleagues through the tactical use of custom tote bags. High elasticity, tensile strength, and resistance to tearing are just a few of the features these Custom Recycled Paper Tote Bags have to offer. Capable of handling a multitude of daily tasks, yet encased in a slender and compact size that captures quality charm. Trimmings on custom shopping bag handles are attached to the top, adding a rustic touch. The imprint area, perfectly proportioned to the wholesale reusable bags, guarantee to capture attention everywhere carried, whether by your customers, in conjunction with a marketing campaign or as a promotional giveaway gift bag. An ideal and cost-effective strategy to meet and exceed your advertising goals, use these custom tote bags to fuel your business, charity or cause. Invest your brand image and build a united culture of employees, volunteers or activists. These bags are manufactured with recycled material, which is a valid step toward conserving the planet. After use, the bags can also be recycled, taking another step toward the same. This may seem like a small act, but it is a greatly effective action to preserve the environment and will work wonders for your brand name. 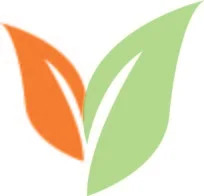 Your audience will take notice of the responsible initiative that you have taken and be motivated to join your eco-friendly crusade with enhanced brand loyalty. Create an outline of your specifications, including the number of units, styling, color, imprint location and others so we can get started on your exclusive Custom Recycled Paper Tote Bags order. We generally cater to our orders within a few days of receiving bag blueprint approval, depending on the nature of imprint to be rendered on the bag. Choose to direct order overseas and we can customize the paper bags to include additional imprint areas, alternate handle style or work with our design team to custom color your order with plant-based dye. Using vibrant and alternating colors is a guaranteed tactic to stand out and stay ahead of your competitors. Custom Earth Promos offers a rush service to assist customers who need delivery of their promotional tote bags within a three-day or lesser period. Whether you choose normal or rush delivery, the quality of product production remains unaltered. You will have a unique, reliable custom recycled bag at the end of the production process, ready to spearhead your next promotional campaign and increase brand exposure!